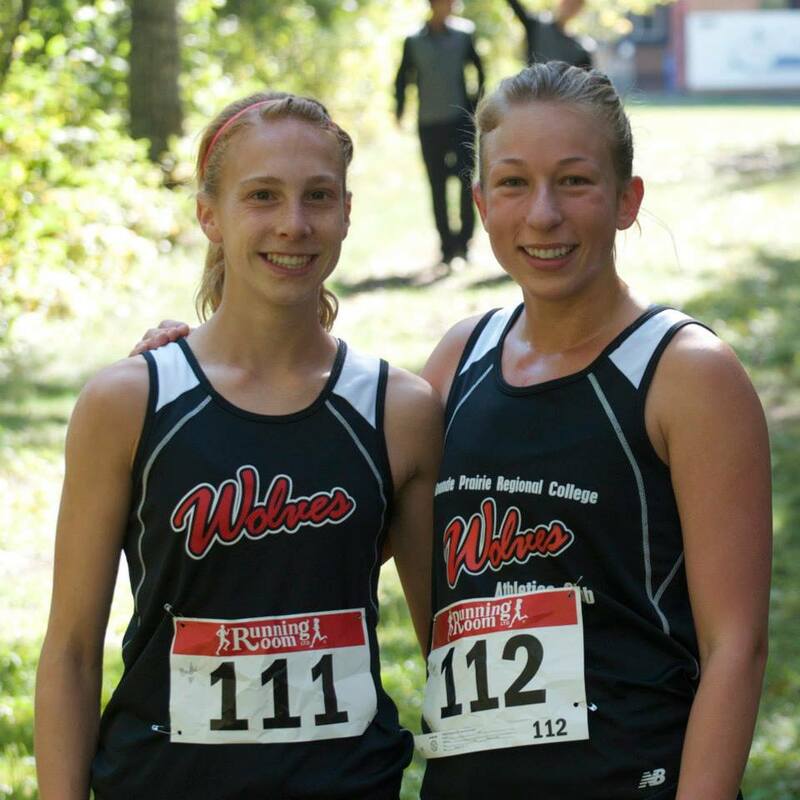 Led by the dynamic duo of Mirelle Martens and Jamie Wigmore, the GPRC Wolves women’s x-country running team topped the field at ACAC #2 hosted by Keyano College in Ft. Mc Murray on Saturday. Martens, for the second week in a row, led all college runners, posting a time of 18:32 on the hilly 5 km course. Wigmore placed second in 18:58, her first sub 19 clocking. Concordia’s Mariya Jenkins, last year’s CCAA bronze medalist, placed third. Jackie Benning and Amanda Patteson also had strong races, placing 5th and 8th respectively. Sisters Kirstin and Karina Manz recorded 12th and 20th place finishes. Wolves assistant coach Jessica Baraskewich was 3rd amongst the non college runners. Collectively, the Wolves women scored 16 points, well ahead of second place NAIT which totalled 33. Concordia placed third. The XC Wolves next ACAC meet is ACAC #4 – Pre Nationals hosted by SAIT in Calgary on October 4. This entry was posted in Cross Country and tagged ACAC, CCAA, Cross Country Running, Ft McMurray, GPRC, GPRC Wolves X-C Running, Grande Prairie, Jamie Wigmore, keyano college, mirelle martens, Wolves Athletics Club. Bookmark the permalink.